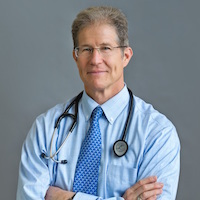 Wayne Jonas, MD, a practicing family physician, is the Executive Director of Samueli Integrative Health Programs. Prior to that, he was the Director of the Office of Alternative Medicine at the National Institutes of Health and served as the Director of the Medical Research Fellowship at the Walter Reed Army Institute of Research. He is also a Clinical Professor of Family Medicine at the Uniformed Services University and at Georgetown University School of Medicine. The presented analysis reflects his views, not necessarily those of the publication. Health care professionals and researchers interested in responding to this piece or similarly contributing to MD Magazine® can reach the editorial staff by submitting a request here. Most of us practice medicine because we want to be healers—we want to both treat disease and help patients regain health and wellbeing. Unfortunately, nearly half of physicians are burnt out. The relentless demands of the modern health care system force us to use most of our time dealing with a vast bureaucracy of insurance regulations, digital record-keeping, and volume-driven visits. These should not be the focus of our practice. It doesn’t matter who pays for healthcare if what we are doing doesn’t improve health and healing, and if we can no longer connect to our patients as people. Is it any wonder that many of us are becoming chronically stressed and burnt out? Physician burnout hurts more than physicians; it hurts patients too. A recent meta-analysis of 47 studies on 42,473 physicians published in the Journal of the American Medical Association found that burnout is associated with a two-fold increased rate of unsafe care, unprofessional behaviors, and low patient satisfaction. Depersonalization had the strongest links to these outcomes, proving that connecting with a patient is key to providing quality care. For 40 years, I have studied how to get healing back into the heart of medicine from many angles: as a family doctor, as a scientist at the National Institutes of Health, with the World Health Organization, as a teacher at Walter Reed Army Institute of Research, and through the non-profit Samueli Institute. What I realized is that we are primarily delivering disease management, rather than healing and care. Like many physicians, I felt the strain the current system places on us. I needed to connect more deeply to my patients and provide whole person care, but I had little training, and few resources supporting that. So, I decided to change my practice. I restructured my office visits to reframe the patient experience from one focused exclusively on diagnosing and treating disease to one that personalizes care and emphasizes prevention, health-promotion, and self-care. I have shifted to what I call integrative health. In medical school, we all were trained to employ the SOAP note (Subjective, Objective, Assessment, and Plan) and use it to chart a patient’s condition and treatment. Unfortunately, the current payment system and SOAP note approach sharply limits the ability of physicians to make healing their primary mission. The SOAP approach does not capture the personal, social, behavioral and environmental factors that cause most chronic diseases. So, I supplement the SOAP visit with another type of visit—one which helps me assess health determinants and address what matters to the patient: a HOPE note, (Healing-Oriented Practices and Environment). The purpose of a HOPE note is to develop a personal health plan for my patients. I start by asking them “What really matters for you?” instead of “What’s the matter with you?” During the visit we explore the social, behavioral, and environmental factors of their health, most of which lie outside the walls of my office. Research has repeatedly shown that these so-called determinants of health, both behavioral and social, account for roughly 80% of a patient’s overall health and wellbeing. By addressing these factors, I am getting back to the heart of what medicine is all about. Mandy, 45, a working mother of 3 young children, had been in a car accident that left her with a minor head injury, neck whiplash, and a shoulder ligament tear. Despite non-steroidal anti-inflammatories drugs, physical therapy, and other treatments, she was still suffering significant chronic pain a decade later. After her accident, she also began to have emotional lability and after many more standard visits—documented with SOAPs, she was diagnosed with chronic pain, depression, anxiety, and post-traumatic stress disorder. These diagnoses led to more medications and treatments, visits to a variety of doctors, but provided little relief. She eventually stopped working. Then she came in for an integrative health visit and HOPE note with me. During the visit I asked Mandy what she thought was keeping her in pain. She said that she felt that her brain never regained balance after the accident and that this what was underlying both her physical and emotional struggles. She felt like she needed a way to repair her brain. I couldn’t be sure, but I wondered if Mandy was suffering from traumatic brain injury and that this was a source of her refractory pain and emotional problems. A PET scan showed decreased blood flow to the right frontal lobe, perhaps from the accident. That explanation made sense to her. But how to heal that? I knew of research showing that practicing mindfulness meditation for eight weeks can produce neural growth in the frontal areas of the brain. Mandy was excited to try this, since she had previously tried meditation but had not been able to stick with it. Her life was so overwhelming to her that it made relaxation difficult. We needed a process for her to integrate meditation into her daily life, like mental exercise. So, we helped her design—with her family—a process allowing her to do 30 minutes of uninterrupted mindfulness meditation every day. We accomplished this by organizing a special place and time in her house where she could fully relax and arranged for a health coach to help her address any challenges that came up during the process. After 2 months of this practice, a repeat PET scan showed improved blood flow in her right frontal lobe—and her pain levels had dropped from her usual 5-7 on a scale of 1-to-10 (with a 10 signifying severity) down to a 3-4. After 2 more months—with the help of acupuncture and additional self-care, her pain was down to a 1-2. A couple months later she was looking at going back to work again. Helping people like Mandy take control of their healing is satisfying—and is the right thing to do. We now know that physician burnout can often be addressed by getting to know our patients as whole people and developing a relationship with them. This allows us to focus again on health, healing and wellbeing. Knowing that I am helping patients like Mandy get to the root of their problems, reduces the stress and helpless feeling that can plague many physicians. I urge my fellow physicians to try developing a more whole person practice. I have found that this type of health model reduces practitioner burnout and brings joy and healing back into healthcare. Ask your patients what they’re doing in their life and what is meaningful to them. Explore their personal determinants of health and help them change those for the better. Do an integrative health visit and write a HOPE note. It will help both you and your patients to heal.